1. Attach your spoon in the middle of the thread by means of a solid knot. If you have some difficulty, you can ask to your educator to use. 2. Take both ends of the thread and bangs the spoon on the table. 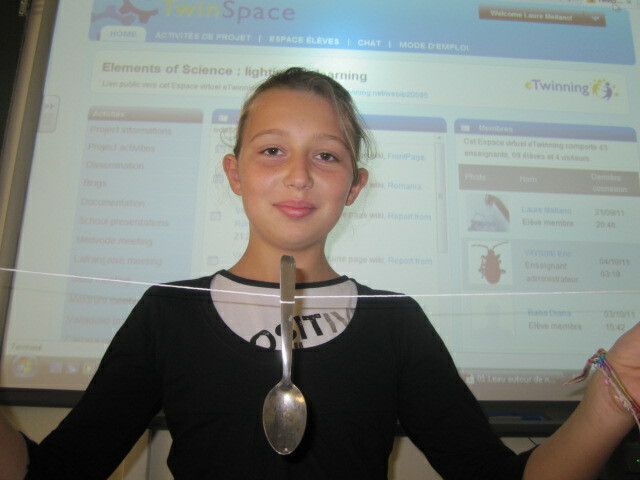 You hear the sound which travels in the air(sight) of the spoon up to your ear. 3. Now, roll up the thread around your indexes. You have to make the same number of tours on each side so that the spoon lives right in the middle. 4. Place your indexes in your ears.